After reading the correct phrases from the book myself, it was easy to see that the thesis prepared by Orya and Abbasi against Malala, for allegedly ‘supporting’ Rushdie and Ahmadis, was all based on fabrications. A few days ago, a fierce verbal battle took place between the guests on a talk show called “On The Front” hosted by Kamran Shahid. The bone of contention was the book called ‘I am Malala’ authored by the 16-year-old herself. The guest speakers included, Orya Maqbool, Ansar Abbasi, Dr Pervez Hoodbhoy and Zafar Hilaly. With regards to the topic at hand, the conversation began with Orya Maqbool and Ansar Abbasi giving their view on the book. Highly sensationalised words were used by the two, and common ground was reached with Malala being framed as offensive towards Islam. Dr Pervez Hoodbhoy interjected stating that he had also read the book but did not find anything against Islam in her book as claimed by the other guests. He suspected either they had not read the book attentively or were deliberately trying to malign her. Visibly astonished, Dr Hoodbhoy asked, in a calm tone, if Orya Maqbool had the book in front of him from where he had read that particular excerpt. He further asserted that there was no statement in her that was in support of Rushdie. At that, Orya insisted that these were, in fact, the exact words taken from her book and continued to incite religious sentiments through his sermon against Malala. During the program, Malala was also accused of favouring Ahmadis in her book. Dr Hoodbhoy, once again, denied the allegation leveled against Malala stating that this was a lie and not written anywhere in the book. After reading the correct phrases from the book myself, it was easy to see that the thesis prepared by Orya and Abbasi against Malala, for allegedly ‘supporting’ Rushdie and Ahmadis, was all based on fabrication. The text quoted by Orya Maqbool happened to be a blatant lie and the exposition of this dishonesty, in effect, justifies Dr Hoodbhoy’s position along with proving his stance as correct. Ansar Abbasi repeatedly referred to Dr Hoodbhoy as a ‘jahil’ for advocating Malala while Zafar Hilaly, the diplomat, gracefully avoided saying a word in the already hostile environment. Not only was this brouhaha terribly ugly for the audience, it was incredibly unprofessional for the news channel to let it stay on-air when the arguments had become personal and out-of-control. Kamran Shahid should have exhibited better control over his own show and should have prevented it from happening. I was in possession of the book and was able to verify the facts for myself, however, those among the audience who have not read the book will be inclined to believe the misleading statements made on this show. This debacle served as a bitter reminder of how Salman Taseer was deliberately framed by an irresponsible talk show such as this, as a blasphemer. What was even more unsettling was the way the host, Kamran Shahid, seem to have taken a backseat during the entire conversation and started giggling when the guest speakers started exchanging insults. He allowed the open use of abuse and hate speech on his show and merely laughed when Dr Hoodbhoy walked off the show. On Monday, the students of the department of Physics at Quaid-i-Azam University in Islamabad called in a meeting to discuss what had transpired on the show. They maintained a position of neutrality, as most of them had not read the book yet themselves, however, everyone unanimously condemned the personal attacks on Dr Hoodbhoy. They further condemned the way Ansar Abbasi ridiculed Dr Hoodbhoys’ teaching credentials. 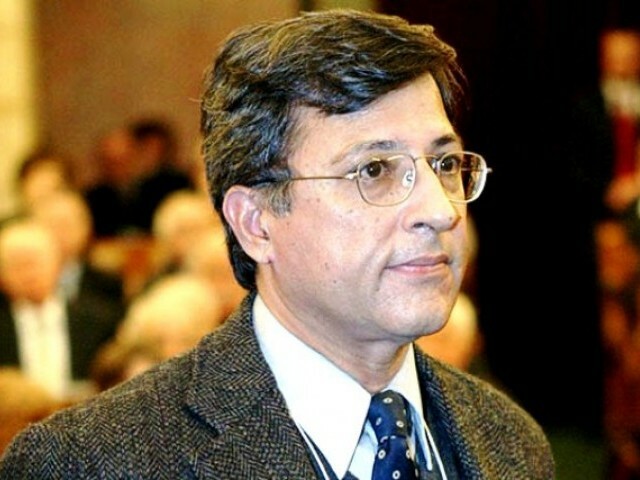 Dr Hoodbhoy has served as a professor at the Quaid-i-Azam University for more than 35 years and has widely been respected in the academic circle. Ansar Abbasi’s remarks not only revealed how unscrupulous our media can be but also how such individuals show no respect towards a noble profession like teaching. To show solidarity with Dr Hoodbhoy, students stood in front of the department with placards condemning the disrespect suffered by the professor. You know half the audience would have agreed with Abbasi after watching this show because anything even slightly anti-Islamic, or for that matter anti-Malala, is well-believed and appreciated in our society. Only a few people would find the book and read for themselves. I wish more people begin to look into sources before believing any xyz. That would prevent our society from so much misunderstanding. The right wingers have a habit of exaggeration. Orya and Ansar criticised Malala mostly based on three trivial matters. 1. Her father believing in freedom of speech. 2. Not writing PBUH after every time our Prophet is mentioned. 3. Thinking of Ahmedis belonging to a class of human beings. My father also saw the book as offensive to Islam but believes strongly in freedom of speech. ‘First, let’s read the book and then why not respond with our own book,’ he suggested. Seriously, I have heard Malala speak extempore to various news channels and the girl is remarkably articulate and well spoken. Her father and other thinkers have influenced her but is that a bad thing? I think her book should be compulsory reading in South Asia. And I truly admire her father. Malala is a budding thinker and should not be written off as an exploited bachchi. I am actually amazed at the depth of her thinking especially considering her background. Sorry but a degree doesn’t make you literate … if that was the case, MQM would be the best bunch of people! Moreover, when people fail to see the signs, then you can’t do anything for them. Hasn’t this occurred to you that a “scientist” is asked to comment on political issues? Again, I won’t say anything, the readers have all the right to think in which ever way they please. But I do know this that a 16 years old talking about all those things (that are very sensitive/controversial in Pakistan and NOT talking about the things she started her rebellion against) has some strange feeling to it. Dear Col sahab…any one who says some thing against the Mullah thinking cannot be considered as a non muslim or Secular…. Difference of opinion comes when you know something about the subject. Can I have a difference of opinion with Hoodbhoy over Nuclear Physics. Will I be allowed to hold that difference??? My view : People like Orya and Ansar can at best be termed semi-intellectuals who are clearly pushing an agenda that is detrimental to us. Professor Hoodbhoy is an intellectual fighting a losing battle. The Ambassador was of course the smartest of the lot. While the anchor Shahid needs many years to mature. The entire debate was unethical on many levels. I support Hoodbhoy’s stance but his choice of words was completely inappropriate. He shouldn’t have blatantly called OMJ and AA liars. He could have said, “the arguments against Malala supporting Rushdie are FALSE, instead of saying “Yeh log JHOOT bol rahay hain”. Hurling personal attacks during a debate is a sign of weak arguments. Dr. Hoodbhoy is a well-learned man (I edited his articles for the Zara Sochiye education campaign and found his arguments extremely well-articulated). I am sure that had he not lost his temper and had refrained from hurling personal attacks at the two, he would have been able to present a better argument to prove his stance. As for the position of the other two, AA and OMJ that is, the only thing I would say is “pathetic”. These people are brainwashing the masses by playing the religious sentiment card and manipulating the entire Malala episode through their religious prejudice. In a country where everyone has become a self-proclaimed judge of others’ conduct and has become a self-appointed chosen one of Islam, the interpretation of knowledge should be carried out as objectively as possible for the greater good of the society. I am sure they are aware of the DIRE consequences of this maneuvering -it can lead to killings in the name of God. With due respect, in this blog the author is falsifying the facts by giving an impression that what Orya quoted is not in book. In fact in the book, it is written that ” “He (Salman Rushdie) has [sic] all the right under freedom of expression, but my father said that we should write a book against him.”, as also quoted by Orya in summary. The blogger tried to clear up the mess created by PH, but again by mis-quotations. “One of their most heated debates in that first year was over a novel. The book was called TheSatanic Verses by Salman Rushdie, and it was a parody of the Prophet’s life set in Bombay. Muslims widely considered it blasphemous and it provoked so much outrage that it seemed people were talking of little else. 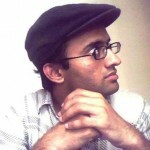 The odd thing was no one had even noticed the publication of the book to start with – it wasn’t actually on sale in Pakistan – but then a series of articles appeared in Urdu newspapers by a mullah close to our intelligence service, berating the book as offensive to the Prophet and saying it was the duty of good Muslims to protest. Soon mullahs all over Pakistan were denouncing the book, calling for it to be banned, and angry demonstrations were held. The most violent took place in Islamabad on 12 February 1989, when American flags were set alight in front of the American Centre – even though Rushdie and his publishers were British. Police fired into the crowd, and five people were killed. The anger wasn’t just in Pakistan. Two days later Ayatollah Khomeini, the supreme leader of Iran, issued a fatwa calling for Rushdie’s assassination. book or point of view (under discussion). In fact I would say “My father’s” book sponsored by few black coat. Having a knowledge of Physics does not mean you have a knowledge of everything. If Dr Pervez Hoodbhoy is a jahil then i wish we all were such jahil. He is going down the path with Dr Salam did. I was eagerly awaiting this blog. I was in the process of writing one myself, but was finding it to be an extremely painful task (just watching the video once was excruciating). I was sincerely hoping someone would relieve me. An excellent piece! – Abbas Ansari and Orya Maqsood are able lie on TV, because they’re confident that very few among their fan base would actually open up a book and read. As far as our hordes of jingoists and Muslim supremacists are concerned, anything that confirms their worldview must ipso facto be true. A proud, faithful Pakistan can never be wrong! My comment : The world is square not round. I don’t think so. I am wrong. No number of audience can make my comment right. My comment : I think the world should be round. The audience should not even consider my comment because I am no a Nuclear Physicist. Hoodbhoy called Orya and Abbas, “liars”. Was he wrong? just for a moment if I abuse you you family and whole line of blood… is this my born right of speech???? This whole brouhaha about whether Hoodbhoy had a right to speak on Islam that the Colonel has picked up is not just irrelevant but malafide. I had watched the program open mouthed and horrified. At no point did Hoodbhoy even talk about Islam. HE simply questioned the claim that had been made earlier that Malala had supported the blasphemer Salman Rushdie and asked for freedom of speech for him. Which was deliberate distortion of what Malala had written. She had said that her father was OFFENDED by the book but that Rushdie had freedom of expression. We should read the book and if we disagree write a book that rebuts what Rushdie said. In today evenings TV talk show with Kashif Abbasi, Orya along with the book in hand spelt out all the objections he had. On finishing Fawad Chaudhry ( lawyer ) very aptly replied and pointed out to Orya that, was that all he could come up with, petty little things like – she refers to the Quaid as Jinnah – and other inconsequential things which Fawad said just showed how small a mind Orya really had. Instead of talking about the contents of the book, Orya focused his energy as was pointed out to further a Taliban style agenda. I am no great fan of Fawad Chaudhry but I give him full marks for being honest. They should get whatever punishment is out there for false accusations of blasphemy and doing it twice over. 2) They falsely accused Hoodbhoy of supporting a blasphemer when he had done no such thing either. I am sorry to burst the bubble. Parvez had absolutely no idea about the book he was talking about. What Ansar Abbasi was referring to had been bluntly denied by Parvez. Parvez kept on insisting that “No such thing exists in the book” contrary to what writer of this article claimed that “No such anti-Islamic thing existed”. I will refrain from commenting on that book because I will be labeled as a Secular by Mullah and a Mullah by Seculars. Being an academician myself, I had expected Parvez to behave better. It was sad to watch these people arguing like uneducated people. Okay reading the comments, I could not stop myself. Person: You Pakistanis, why don’t you believe in freedom of expression? Me: Is it written in your constitution that religion is a personal affair of everyone? Me: Is it also written in your constitution that your freedom ends where my nose starts meaning you can not interfere in anyone’s personal affairs? Freedom of expression does not permit you to do that? Person: I have never thought like that earlier. but on the other hand people who talk lost their sense on the way. There is no such thing as “right wingers”. Islam cannot be disputed. Islam is not a game of politics where one is right wing or left wing. There is only one path. We cannot disputes. Because some facts are being widely misinterpreted, I would like to set the record straight. 1. The anchor, Kamran Shahid, telephoned me repeatedly to invite me to his program. I was reluctant because of my demanding academic schedule but he insisted that it was very important to counter the wrong trends that we see in Pakistan and for people like me to raise their voices. I agreed to participate, not knowing that he had also invited the media extremists, Orya Maqbool Jan (OMJ) and Ansar Abbasi (AA). He had deliberately withheld those names from me, although I had asked who else would be on the show. 2. Dunya TV sent a DSNG unit to my house in Islamabad. I could hear but not see the anchor or the other guests. During the shouting match that developed during the program – a consequence of OMJ and AA savagely attacking Malala Yusufzai and misrepresenting the contents of her book – I naturally thought that my voice was getting through to the audience. I was wrong. 3. This program was about the book “I Am Malala” but I had not been thus informed. Else I would have had a copy in front of me to refute the inventions of AA and OMJ. Therefore I had to rely on my memory rather than have access to the exact text. had been turned down so low that my voice was inaudible. However AA was hurling abuses against me and these were coming through loud and clear. I also noted that AA and OMJ would occasionally appear full-screen whereas I was shown as a tiny image even when speaking. This was clear manipulation and bias at the technical level. 5. After some time had passed, the audio was abruptly turned off from my headset. I naturally thought that the program had ended, perhaps prematurely. So I took off my headset and walked away. What else was there to do? But, on watching the televised program, I realized that they had kept the video camera on! The program was actually in the final stages and AA (full screen) had been given the full opportunity to vent his venom on me. The anchor said that I had left the program. This was a complete lie. several blogs/newspapers have reported that I walked out in defeat. These are gutter tactics. Sadly, in pursuit of ratings, Dunya TV is pandering to the extremist right wing. Again, thank you for bringing up the matter. why not the educated elite, who is lucky enough to read and understand this piece of english, raise their voice through an organized platform…The demonstration by QAU students is laudable! I am going to get quite a lot negative comments and dislikes but contrary to the common belief here I should mention here that Pervez Hoodbhoy started by calling Orya Maqbool Jan and Insar Abbasi liars. The manner in which Pervez Hoodbhoy started the program does it depicts the behaviour of a learned Professor? If he wouldn’t have started in this manner I guess the program would have taken a different course than how it went. Verbal brawls are common on TV channels rather the anchors encourage such RAW like episode. Experts like Abbasi, Hoodbhy, and many more highly educated professors, media-men/women, ullamahs, human right activists and politicians are deliberately pushed into free for all verbal brawls. The meaningful smile on the face of the anchors during these emotional discourses can easily be noticed. Media industry! keep it-up audience do enjoy these thought provoking and knowledge enriched point scoring episodes with highly emotional motivated verbal force. No doubt, It adds to the popularity of the participants and entertainment section of the 24/7 news Channels news. It does amuse & entertain the viewers, these entertainment breaks are in addition to programs like Hum Sub Umid Say Hain and Khabarnak.